During a break in the St. Louis Conference, a few of us were in the back of the room sipping coffee and munching what I called Neutron Chip Cookies – that was because one of those monstrous chocolate chip cookies would rejuvenate you with all of the calories you had burned in a year of exercise. I was talking about John Klotz’ book. That picture is real. 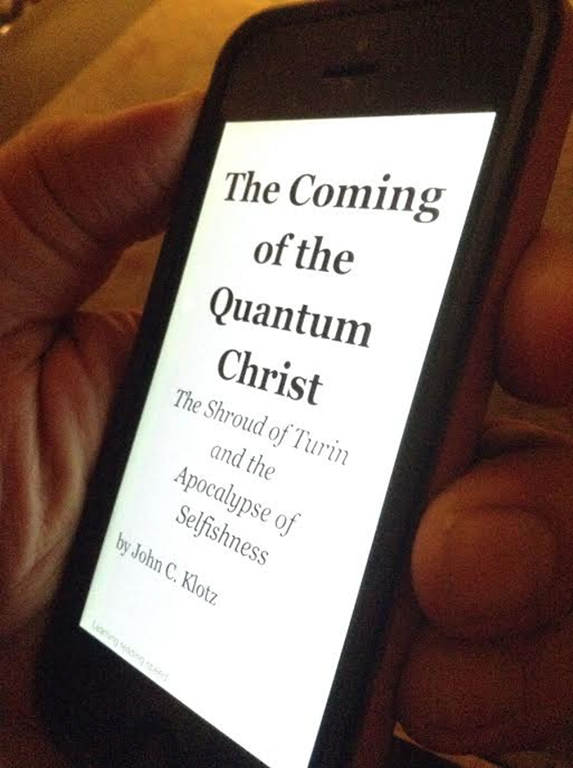 That is my hand holding my iPhone displaying John’s book. It is not photoshopped. Nice to see that Dan has become John’s marketing manager! It is worth it, people should come to know about the book, to learn about the history of the Shroud, see the excellent illustrations and decide for themselves.